We’re teaming up with Pad & Quill for a series of special WWDC giveaways this week in celebration of the developer-focused event. 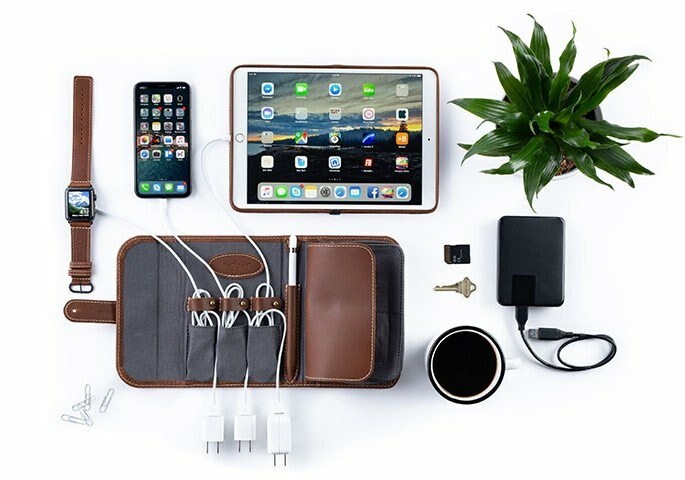 For those unfamiliar with Pad & Quill, it’s a company that makes high-quality hand-crafted leather accessories for iPhones, Macs, iPads, Apple Watches, and more. For our second giveaway this week, we’re offering MacRumors readers a chance to win a Heritage Rolltop Leather Laptop Backpack, a TechFolio Cord Organizer, and a Contega Linen case for the iPad Pro. 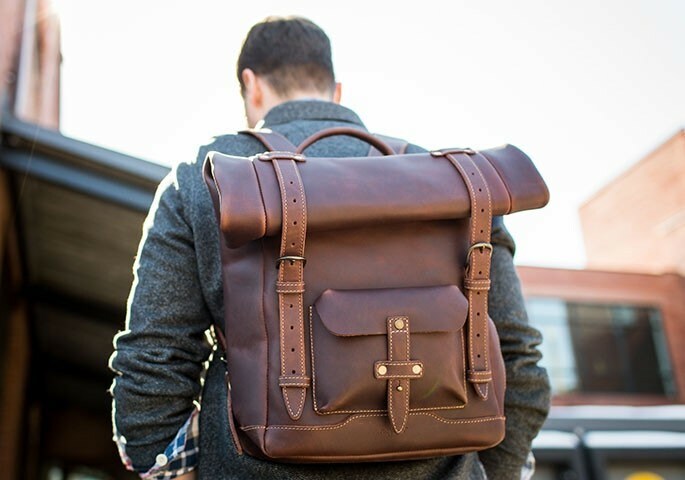 Pad & Quill’s Heritage Rolltop Leather Laptop Backpack, priced at $339, is a weatherproof backpack that’s made from full-grain American bridle leather. It features a dedicated laptop pocket that can hold up to a 15-inch MacBook Pro, a water resistant leather cover flap, and tons of pockets. There’s a main compartment inside to hold all of your accessories, a zippered pocket for small items, an exterior pocket for things you need to get to quickly, and another quick access side zipper pocket. It uses UV-resistant stitching, brass hardware, and copper rivets, plus it comes with a 25-year warranty. Pad & Quill’s Contega Linen iPad Case is a folio-style book-like case that’s available for both the 10.5-inch iPad Pro ($120) and the larger 12.9-inch iPad Pro ($130). The Contega case features a baltic birch wood frame with a linen cover in charcoal, gray, or cranberry, and there’s even an Apple Pencil holder. 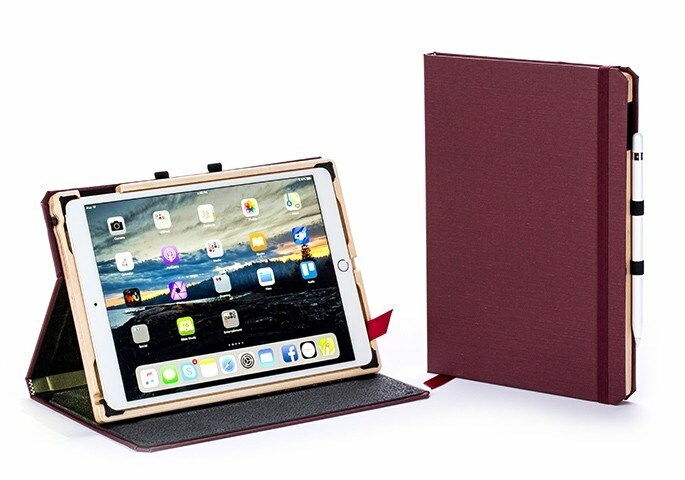 The birch frame keeps the iPad safe from bumps and drops, while the linen cover can be folded to serve as a multi-angle stand for the iPad when watching videos or folded all the way back when playing games. When closed, the Contega case offers all-around protection, with an elastic strap to keep things closed. The TechFolio, priced at $90, keeps all of your cords neatly organized in one easy-to-access place. Like all Pad & Quill products, the TechFolio is handmade from leather and able to hold a ton. The TechFolio has three cord organizer pockets, an Apple Pencil slot, a larger zipper pocket for a MacBook charger, two smaller pockets for accessories, and slots for keys or SD cards. All of this folds down into a small package that secures with a rivet closure and fits neatly inside another bag. We have one prize pack featuring a Contega iPad Case, a TechFolio, and a Rolltop Leather Laptop Backpack. To enter to win, use the Rafflecopter widget below and enter an email address. Email addresses will be used solely for contact purposes to reach the winners and send the prizes. You can earn additional entries by subscribing to our weekly newsletter, subscribing to our YouTube channel, following us on Twitter, or visiting the MacRumors Facebook page. a Rafflecopter giveawayThe contest will run from today (June 6) at 11:00 a.m. Pacific Time through 11:00 a.m. Pacific Time on June 13. The winner will be chosen randomly on June 13 and will be contacted by email. The winner will have 48 hours to respond and provide a shipping address before a new winner is chosen.